Introduction to retirement savings accounts: Traditional/Roth 401(k)/IRA, what are they? I’m sure you have heard of these terms before. They probably appear on the media more frequently than the Kardashians. Traditional 401(k), Roth 401(k), Traditional IRA, and Roth IRA are 4 types of retirement savings accounts. Retirement savings accounts are actually investment accounts: you contribute money to these accounts, and purchase investment products through them. For example, if you have $5,000 to save for retirement, you put $5,000 into one of these accounts and buy, say, $5000 worth of mutual fund shares. The difference between retirement savings accounts and a regular brokerage account is that you pay less in taxes on the investment returns from a retirement savings account than you would from a regular brokerage account. The US government designed these accounts to help and encourage people to save for retirement, and the help is huge. Think trillions of dollars, and you understand why we should make good use of the government’s effort. Because of the preferential tax treatment, each of the retirement savings accounts has an annual contribution limit imposed by the IRS. If you have skipped a year of contributing to your retirement savings account, you have lost a year’s worth of tax reduction, and this is another reason why you should start contributing to a retirement savings account as soon as you have the money. Retirement savings accounts are administered by brokerage companies such as Charles Schwab, Fidelity Investments, and Scottrade. When you invest your money in a retirement savings accounts, it is these companies that execute your orders. For a 401(k), your employer works with the brokerage company; for an IRA, you deal with the brokerage company yourself. So there you have it. A retirement savings account is simply an investment account with preferential tax treatment, designed by the US government to help people save for retirement. This is the basic definition; I want you to understand what a retirement savings account is before I cover each of these types of accounts in depth in the next blog posts. Any question so far? Please leave them in the comments section and I will respond as soon as I can. Should I just max out my traditional 401k to the % my employer would match, then match out the Roth IRA and leave the rest to the brokerage? There is no point in contributing to Roth 401k right because my employer is not contributing to the Roth. I will talk about this in the next few blog posts which should come out in the next few days. What I want you to do before that is to confirm whether your employer matches your Roth 401(k) contribution. 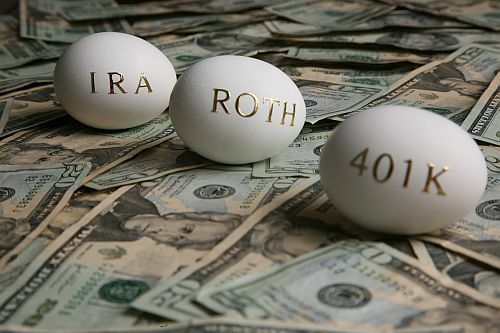 It would be odd if they didn’t; normally employers do not distinguish between Roth vs Traditional when it comes to matching 401(k) contribution. I did ask, and was given the information that all employer’s contribution went to the 401k not the Roth one. By 401(k), you mean the Traditional 401(k), as opposed to the Roth 401(k), right? If so, yes, contribute to the Traditional 401(k) at least to the maximum amount that would be matched. And thereafter you can either keep contributing to a 401(k) or contribute to your IRA instead. There are advantages to both.